The Series 1 Credenza is full height and features a contemporary yet neutral design which will easily complement any office interior. An ideal storage solution for any meeting room, boardroom or office, the Series 1 Credenza is perfect for discreetly housing your filing, paperwork, peripherals and AV equipment. 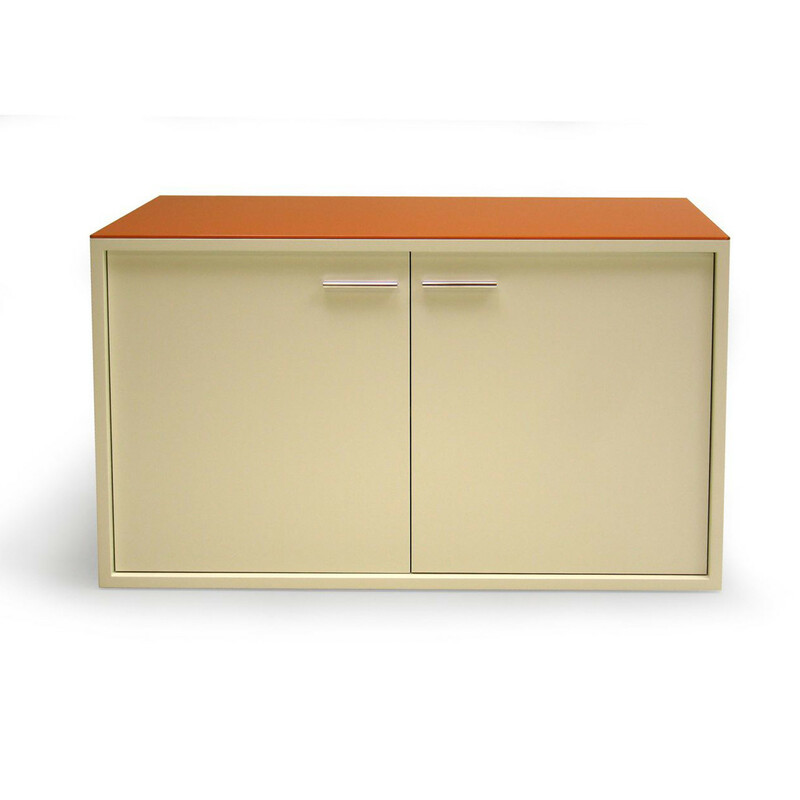 As standard, the Series credenzas are available as two, three and four door versions, with a choice of different high quality finishes: laminate, pigmented lacquers or veneers. 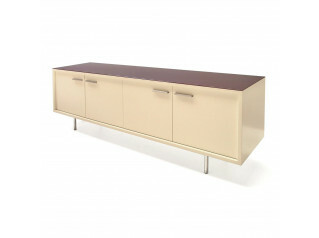 All pigmented lacquer credenzas come with a matching or contrasting back painted toughened glass top. 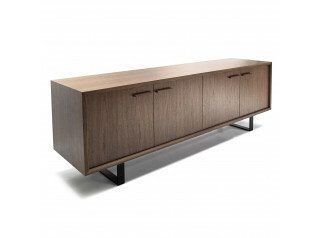 The Series 1 Credenza stands on glide feet with adjustable shelves behind the doors. 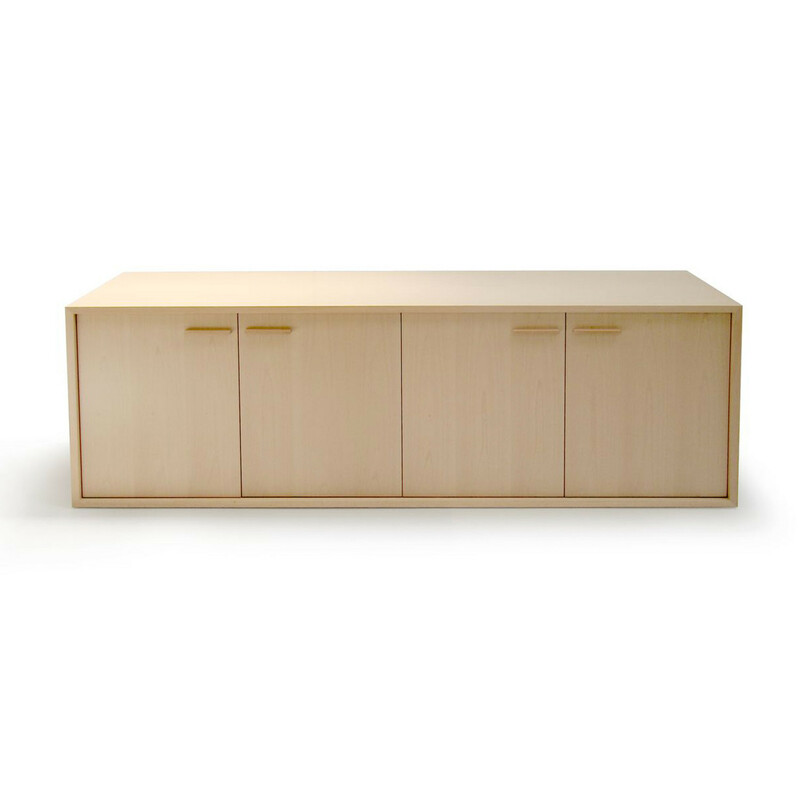 There are a range of options available to make the unit a custom made credenza, depending on your needs and requirements. AV equipment can be fully integrated via specially designed 19" pull out racks; the Series 1 Credenza length can be made-to-measure, with the length altered to 120cm, 180cm and 230cm to accommodate the racks. 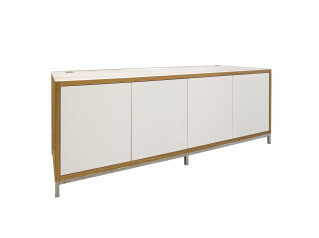 Furthermore the depth of the credenza can be increased to 600mm or 700mm, whilst the stainless steel legs can be shortened to accommodate a 12U rack to house a computer server. Ventilation can be introduced in the rear and the base of the credenza; this is required when you make the most of its ability to house refrigeration or electronic equipment. Usually cut outs are sufficient (in the shape of squares, circular holes or slotted ventilation). However, electrical fans can be fitted if necessary, especially if a large number of racks are occupied by equipment. When the back of the Series 1 credenza is on view the option of slotted ventilation is ideal to conceal the contents and maintain the aesthetic appeal of this bespoke storage solution. 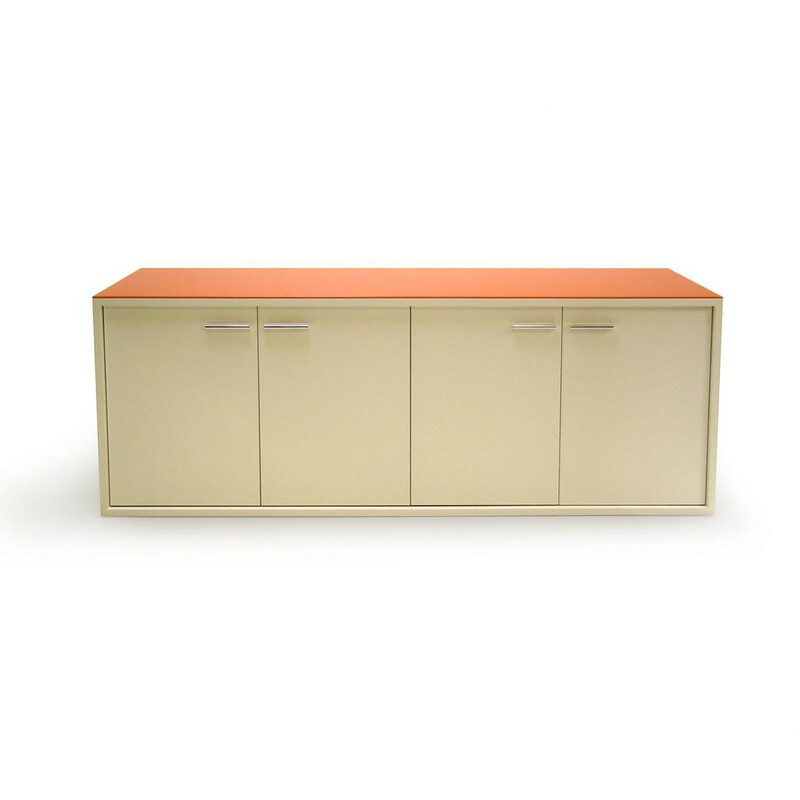 The Series 1 Credenza can also be fitted with a 37ltr capacity refrigerator giving you the option of offering colleagues and clients a cold beverage without interrupting your meeting. Series 2 Credenzas and Series 3 Credenzas have the option of housing 23ltr refrigerators. Grommets and cableways can be specified, with vertical or horizontal apertures allowing power, data and AV leads to be perfectly concealed. 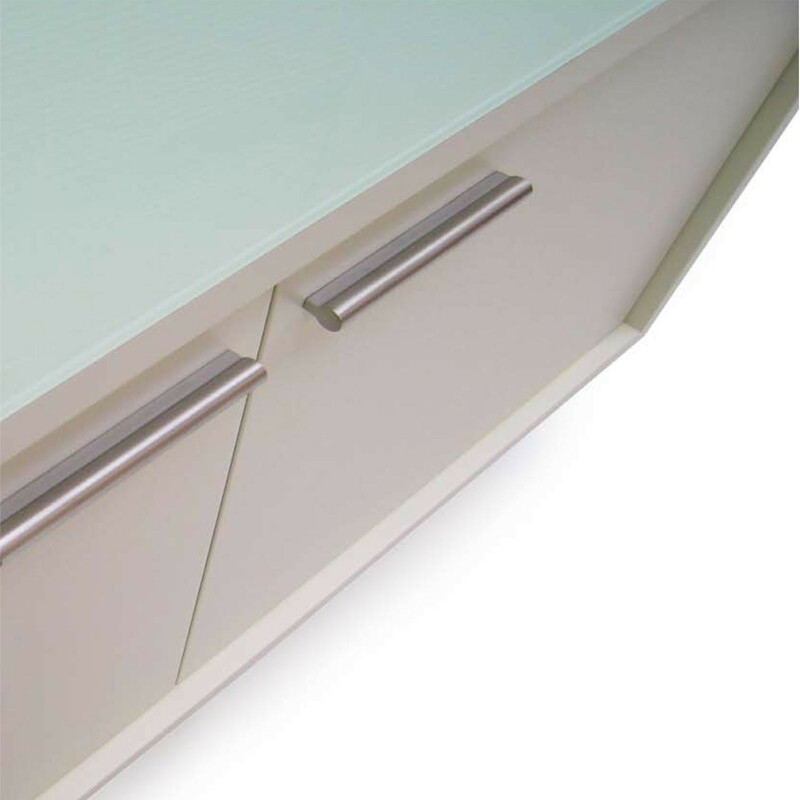 The top of the Series 1 Credenza unit can be fitted with either a 60mm/80mm diameter grommet or a 21mm version which is designed specifically with data leads in mind. You are requesting a price for the "Series 1 Credenza"
To create a new project and add "Series 1 Credenza" to it please click the button below. 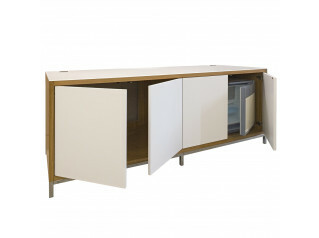 To add "Series 1 Credenza" to an existing project please select below.